If you opt for the more powerful 135i, be sure to consider the attractive and performance-boosting M Sport package as well. Power, style, and attainable luxury are all part of the 2011 1-Series' repertoire, though the appearance and BMW's fourth-gen iDrive may not be everyone's cup of tea. The 2011 BMW 1-Series doesn't see many changes for the new model year, but the few it does get are significant, making the 1-Series a technological standout in the entry-level luxury sports car market. Appearance is largely unaltered for 2011, with the love-it-or-leave-it styling a deciding factor for some. The 1-Series gets a new seven-speed dual-cloth transmission (DCT) that replaces the automatic, available only on the 135i. The high-tech transmission delivers silky-smooth shifts in automatic mode and precise, rev-matched shifts in manual mode. The range-topping 135i's engine is also updated for 2011, replacing the previous twin-turbo inline six-cylinder with a 300-horsepower twin-scroll, single-turbo version. Available in naturally aspirated form as well in the 128i model, both engine options can be slotted into either coupe or convertible body styles. A wide range of features and options can be had for materials, appearance, and equipment. The tech experience revolves around the fourth-generation iDrive system, which can still be complex to operate, though it's much improved over earlier generations. The base price of the 2011 1-Series, which is on sale now, stays stable, at $30,025 for the 128i and $36,925 for the 135i. All 1-Series models are rear-wheel drive. 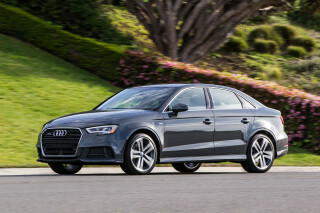 Competitive cars include the Porsche Boxster and Cayman, the Audi A3, and the Lexus IS and IS C.
The 2011 BMW 1-Series exterior might present controversy, but its interior is generally recognized as attractive and stylish. Introduced three years ago in the U.S. market, the 2011 BMW 1-Series carries forward the design of the 2010 model. It shares the long hood and short deck shared with the 3-Series, though loving or hating its looks really comes down to personal preference. Not as elegantly proportioned as others in the family (though opinions vary), the 2011 BMW 1-Series is nonetheless a purebred Bimmer. Some find the stubby proportions enchanting, but many are put off by the resulting clumsiness of lines around the front, rear, and greenhouse. The 2011 1-Series' 104.7-inch wheelbase is 4 inches shorter than the 3-Series Coupe, with another 2 inches shaved off the overall length to come in 6 inches shorter and 3 inches less in width. 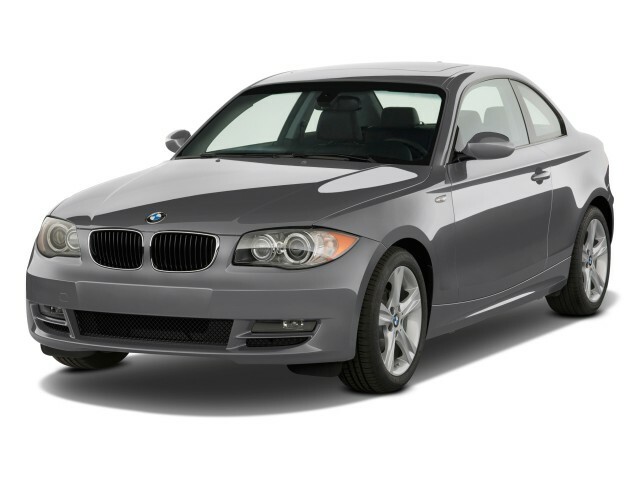 With ample power and precise handling, the 2011 BMW 1-Series is a pleasure to drive. BMW offers two models of the 1-Series in the United States: the naturally aspirated 3.0-liter inline six-cylinder 128i, and the turbocharged 3.0-liter inline-six 135i. The 128i's 230-horsepower rating is ample for most, though the speed fiend will find the punchy new twin-scroll, single-turbo engine of the 135i a welcome companion. The new 135i engine, which does away with the twin turbos of the previous model, delivers performance that's functionally indistinguishable either on the street or the track, yet is slightly lighter and less expensive. Acceleration to 60 mph takes just 5.3 seconds when equipped with the twin-clutch DCT. 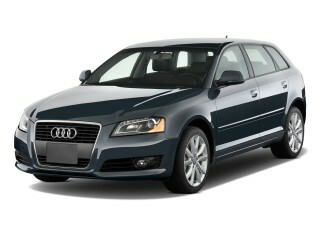 Handling and steering are nimble and quick, feeling like a real sports coupe in any situation. Slight body roll, high grip levels, and quick direction changes are all part of the package, even in the case of the 128i, but particularly so for the 135i with the M Sport package. Braking, stability, and control are all excellent as well, with the dynamic processing of yaw and slide working with the ABS system to help keep the 1-Series on the intended path. The 2011 BMW 1-Series packs excellent materials and build quality into an affordable car, but its compact exterior size translates into a comfortable yet cozy interior. "Attractive," "comfortable," and "easy to use" are the key descriptors of the 2011 BMW 1-Series' interior. Both coupe and convertible models are more like 2+2s than true four-seaters. Adults will find plenty of comfort up front, but the rear seat is best reserved for children unless the front-seat occupants are of medium height or shorter. A pass-through and a 60/40 split-folding rear seat make the car more useful than it might be otherwise, and the convertible's compact folding mechanism leaves enough room in the trunk to stow meaningful cargo. Both coupe and convertible store a maximum of 10 cubic feet of cargo. Beyond the trunk, however, there's not much storage space in the 1-Series' cabin. Build quality and materials belie the 1-Series' position as the least expensive in the lineup, up to BMW's standards in the 3-Series and 5-Series aside from slightly lower-grade leather and plastics in some areas. 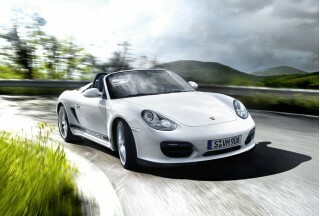 Cabin noise is low, and even the convertible remains reasonably quiet with the top down. While a solid performer, the 1-Series is also a comfortable cruiser. Depending on the options and packages chosen, the ride can vary from firm but smooth to luxurious, with the 135i toward the sportier end, and the base 128i toward the softer. Despite the lack of official U.S. crash-test results, the 2011 BMW 1-Series offers enough standard safety equipment to put most buyers' minds at ease. Like most luxury vehicles, the 2011 BMW 1-Series hasn't been crash-tested by NHTSA or the IIHS. Europe's largely analogous NCAP testing reveals the vehicle to be very safe, however, scoring five stars in crash tests. The large list of standard safety features should also reassure buyers. Front, side, and side-curtain airbags; ABS, traction and stability control; tire-pressure monitoring; and daytime running lights are all standard. The car's thin pillars and tall windshield offer good visibility, though the headrests can get in the way at times when backing up or parking. While the base spec of the 2011 BMW 1-Series is feature-packed, beware the effects of adding lots of options on top—the price can quickly push into 3-Series territory. Like any BMW, the 2011 BMW 1-Series features a high-quality standard equipment package, including keyless entry, power accessories, steering-wheel controls, and on the 128i Coupe, HD Radio capability. Optional upgrades include navigation, a power sunroof for the coupes, and a power-folding cloth top on the convertible models. The cloth top can even be raised or lowered at speeds up to 30 mph to obviate the need to pull over to soak in a sunburst or take shelter from a sudden shower. The price tag can climb quickly when adding options, driving the cost above $40,000 with the addition of premium packages and electronic features.